“We thought we were going to go to the moon and audit lots of ICOs,” Hartej Sawhney, co-founder and president of the company told CoinDesk in a phone call. Founded in July 2017 and headquartered in Las Vegas, Hosho rode the wave of token sales, expanding quickly and building its brand with a high-profile conference. But by that point, crypto winter had already begun to hit, with prices across major cryptocurrencies dropping, in some cases, 90 percent from their 2017 values. So, despite the fact that the company now claims to have audited more smart contracts than anyone else in the world during its 17-month run, business slowed abruptly and the firm went from 37 employees to seven in a sweep of late-2018 layoffs. “It was painful personally. I’ve never had to let go of that many people,” Sawhney said. The leadership believed with a very small team of their leading technical employees and a new service offering in penetration testing, they could keep the business going until the industry came back. The death of the robust ICO market with its plethora of new smart contracts was the main cause of Hosho’s contraction, according to Sawhney. It had an easy business as long as those kept going, but then the music stopped and business became much, much harder. Echoing some of the themes BlockEx spoke to when acknowledging its staff drawdowns, Sawhney noted that some of the decisions it’s made, while responsible, have now made surviving crypto winter more difficult. For example, believing it could build the business on revenue, Hosho did not take venture funding. Arguing that good smart contract auditing at this stage still requires a sophisticated human element, it also didn’t do an ICO. “There’s no reason to do ICOs if you’re auditing smart contracts,” Sawhney said. Looking back, the signs that the industry had over-inflated were there. “The level of immaturity in this space in the first half of 2018 was very high,” he said. 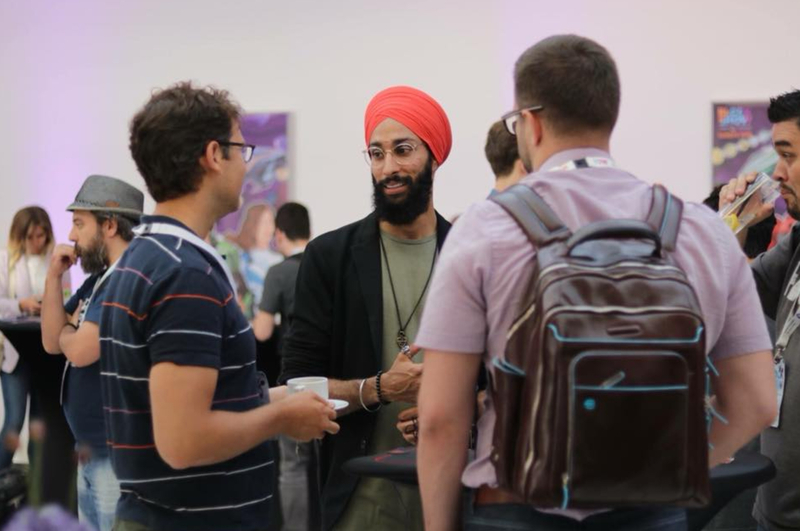 Sawhney described auditing smart contracts that hadn’t even met the very basics of a project’s stated intention, such as advertising one token supply on a project’s website but listing another in its smart contract. He ascribed this to negligence rather than maliciousness. Some teams he saw had clearly cut and pasted from another team’s smart contract without changing very much at all. But other companies were prepared to take an unethical course, offering Hosho a large cut of their token emission if they would give their smart contracts a clean bill of health. As a U.S.-based company overseen by U.S. regulators, however, Hosho declined the business. “We were told very scammy things,” he said. One other sign that a freeze had taken hold: it wasn’t able to fill a conference featuring Andreas Antonopoulos. Its conference, HoshoCon, only sold about 350 tickets for an event on blockchain security that ran from October 9 to 11 last year. In the end, it felt empty because the company ran it in one of the big Las Vegas convention spaces. Looking back, Sawhney sees a lot of things that they could have done differently during the boom. He also would have hired broader. He let his staff convince him that their whole team needed to be based in the U.S., which makes for a very expensive team. Today, he’s very much focused on expanding the technical team in Ukraine. Still, Hosho sees a path to recovery. Its experience has allowed it to run leaner with more automated tools for its smart contract and protocol audits. “We are much faster than we were ever before,” he said. But the company is not staying solely in that lane. Much of Hosho’s team has white-hat security services experiences and it’s selling those as well, to crypto firms or anyone who needs them. “Today we have cryptocurrency exchanges losing two to $2.5 million per day,” he said, a point that Ledger’s CEO has emphasized on this site. “A lot of these things can be avoided with regular penetration testing.” So, the company is spending a lot of time educating founders in crypto about best practices from other industries. “We are really focused on expanding our presence into Asia,” he said, a place where he says there is much less competition for security talent and more blockchain growth.